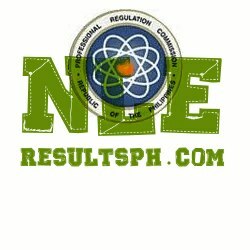 Results of the Nursing Board Exam held last June 2 and 3, 2013 in various Professional Regulation Commission testing centers nationwide, as released by the PRC, are available here. Please check out this webpage often for updated June 2013 NLE Results. There are 38,656 nursing examinees who have taken the exam from various testing centers all over the Philippines. Testing centers include Manila, Baguio, Cabanatuan, Cagayan De Oro, Cebu, Dagupan, Davao, Iloilo, Laoag, Legazpi, Lucena, Pagadian, Pampanga, Tacloban, Tuguegarao, and Zamboanga. Minutes to go june 29 na, still the results are not yet posted. Lets keep praying, keep thinking positively. mtgl i-release kc nga nilu2to p. pninerbiosin p un mga examinees. The result takes time to be released!In other countries you can see the result after the examination. omygod! ive been praying so hard for this! please Lord hear our sincerest prayers! Another addition to the immense flock of jobless professionals! If registered nurses can hardly gear themselves with appropriate and professionally relevant jobs, how can one expect a K-12 graduate to find one? Right, Mr. Luistro?